Tel Aviv is using underwater concrete structures to increase marine biodiversity in one of its shores. 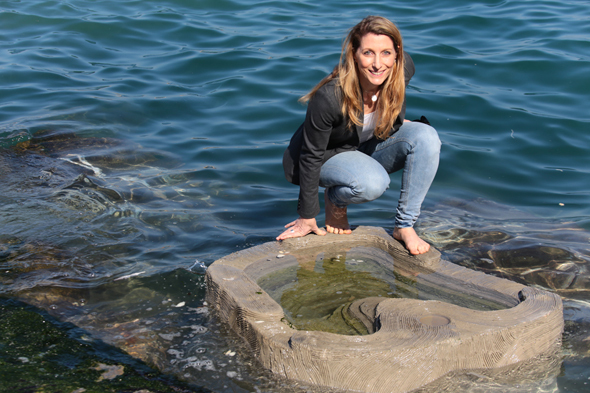 To do so, Atarim Group, a city owned corporation in charge of developing Tel Aviv’s coastline areas, has partnered with Israel-based startup ECOncrete Tech Ltd., which develops eco-friendly underwater structures. 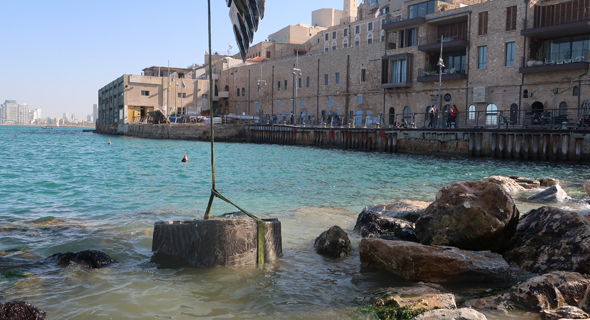 Earlier this week, the city placed three of ECOncrete’s tide pool units in the waters surrounding the Jaffa port, ECOncrete’s co-founder and CEO Shimrit Perkol-Finkel said in a phone interview with Calcalist Thursday. Perkol-Finkel announced the project in a LinkedIn post Tuesday. ECOncrete’s products—sea mattresses, seawalls, and tide pools—are meant to be integrated into critical shoreline infrastructures, such as breakwaters, ports, docks, and underwater pipelines. ECOncrete developed a bio-enhancing material, which it adds to its concrete mix to reduce carbon footprint and encourage fauna and flora growth. The structures are designed with crevices and textures that mimic natural surfaces such as rocks to encourage living organisms to develop on their surface. ECOncrete employs 16 people in offices in Tel Aviv, the U.S., and Europe. The company has raised about $5 million to date, according to Perkol-Finkel. Investors include Israel-based investment fund Elah Fund and Tel Aviv-based real estate company Azoury Brothers Ltd.
ECOncrete also manufactures “biological walls” that encourage the growth of moss and other plants without requiring soil. Such walls are already installed in a Tel Aviv tower and at a government office building in Jerusalem. ECOncrete is currently in negotiations with Tel Aviv to set up a wall in one of the city's public areas, Perkol-Finkel said.